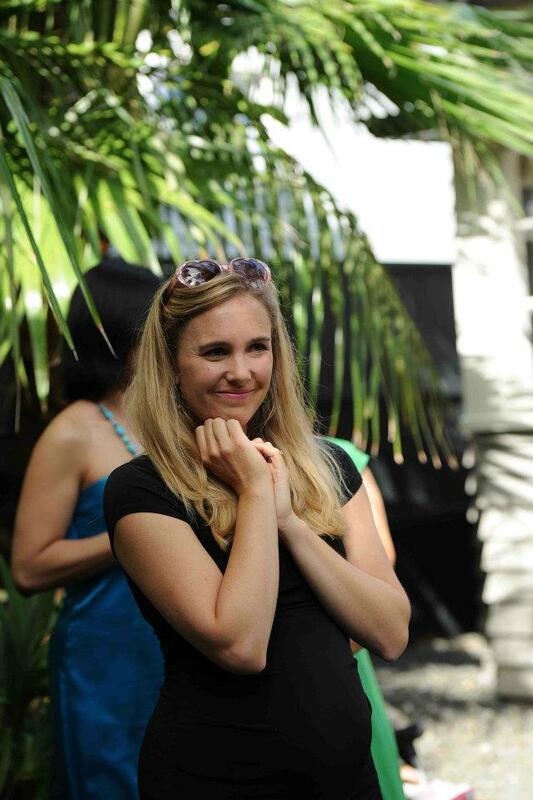 Who made it to (The Seriously Good) Food Show in Tauranga this weekend? Whilst talking food – there’s a couple of new cafes to hit the Bay. 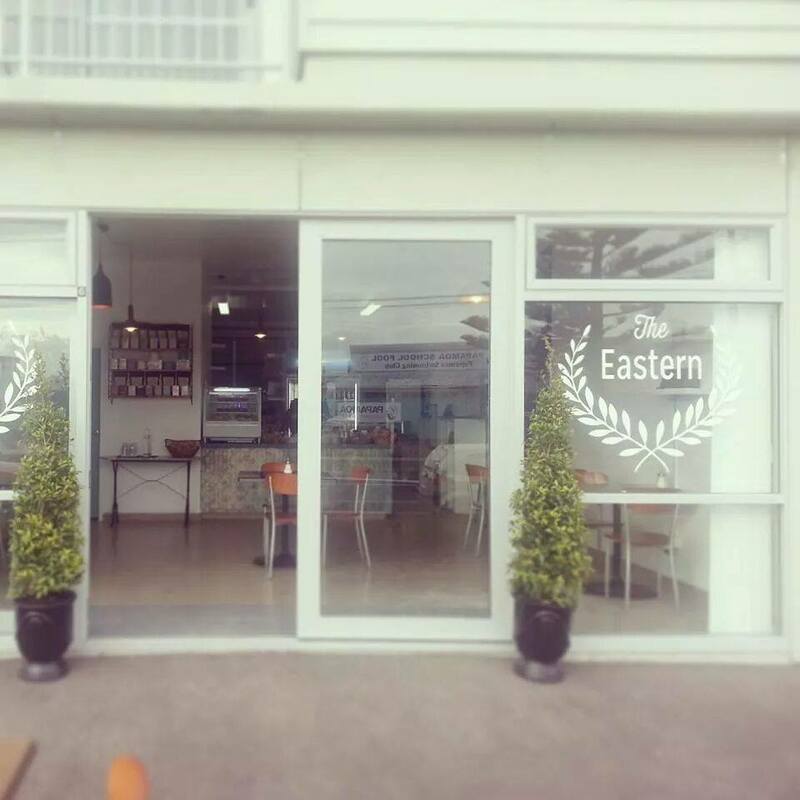 Central Deli (Central Parade, Mt Maunganui) and The Eastern (in Papamoa). I haven’t been out to ‘Paps’ for a while except to visit Sue from Baby on the Move. She’s a most warm hearted generous woman who has helped me fit my car seats properly and whom we rented baby # 3’s capsule off. She’s no more expensive than Plunket but has more flexibility re: opening hours. I recommend. I urge people to take their car and carseats for a date with Sue or Plunket and make sure you’re doing good on the carseat front. I was embarrassed that I didn’t have things tickety boo but I feel pretty joyful and confident now. Central Deli – I had a delicious caramel slice t’other day and I would go in a flash for slice/biscuit and a drink (especially with my babies cos it’s very family friendly). The Eastern – I like the facebook photos. Nothing beats a basic local foodstop. Anyone been? Of course you all know about 9th Avenue’s Love Rosie Bakery ay? Ay? Don’t go in a rush as I’ve never been there when there isn’t a fairly fast moving queue of excited drooling customers. MY favourite is their relish scone, toasted with more relish and butter. 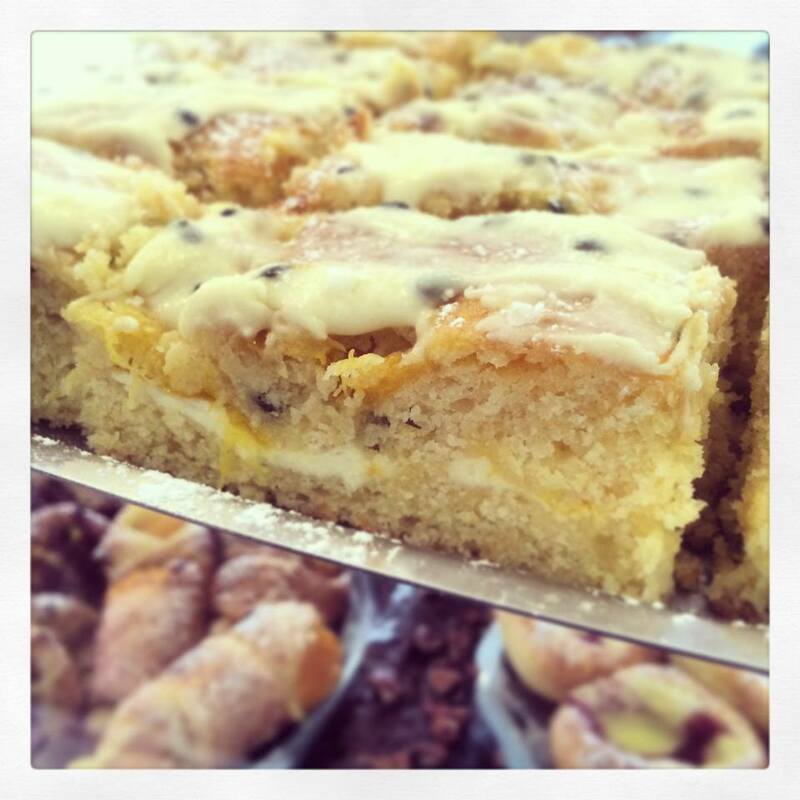 Their custard squares are fairly epic too. I like the quiche, although Mum and I had a debate as to whether it was slightly undercooked. I like the fact it’s moist and kind of still tastes alive. They do gluten free s**t too. Love ’em. 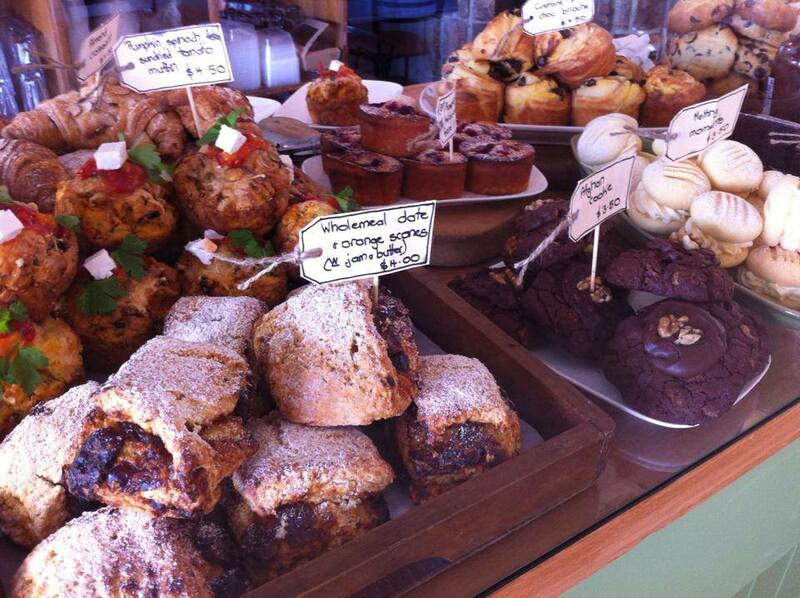 I’ve yet to try Nona’s Homemade Cakes at Mt Maunganui’s The Local. And who’s been to the monthly smoothie club at night? Who? Who? This month one should hop along to the grand opportunity of TEDx Tauranga. Saturday 19 July. 1pm-8.30pm $65. Most of you have missed out on the cooking workshop Homemade Kitchen on Saturday 26 July 12.30-3.30pm. “I will be sharing the ‘Kitchen Essentials’ I make regularly for my family to keep us healthy and save money. 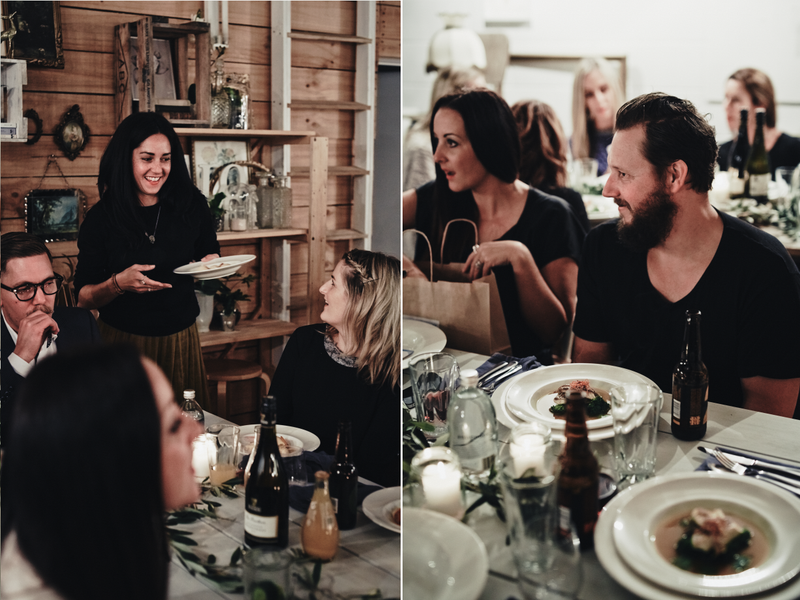 Including my simple overnight bread [gluten-free option] / omega boost muesli / herb pesto / and of-course there will be raw chocolate involved & more.”. It’s SOLD OUT. Nicola Galloway’s coming back next year. School Holidays start Friday 4 July. I happily let people know about Emma Prill’s Art Classes as often as I remember. All the images I have ever seen show happy children next to frameable self creations. 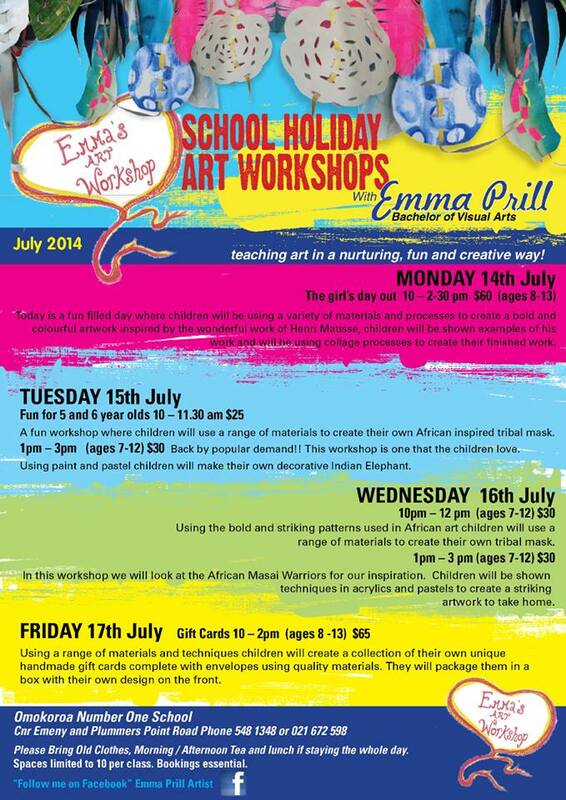 Not that learning is all about a masterpiece of a product, but Emma has the most refreshing and colourful ideas for the art classes she offers out in Omokoroa, Tauranga. Tauranga’s Libraries are offering a FREE programme of learning (exhibitions, performances and workshops) for Matariki, which started 28 June this year. I’ve booked the kids in for stories, rhymes and songs themed around Matariki from 10.30-11.30am Tauranga Library, Tuesday 8 July. Ph: 5777177 for more information and bookings. Within the Matariki festivities, Mana Wahine is a contemporary dance show touring NZ and stopping off in TGA. Go see them at Baycourt Tuesday 29 July at 7.30pm. Adults $30. Concession $25. Bookings 0800 TICKETEK. Take grandma down to Greerton to the yarn bombed trees (i.e. trees ‘decorated’ in winter woollies). Tree exhibition up June and July. Whilst there you could have local takeways, ‘keep the kids up late’ and see IlluminArt Friday 11 July, 6pm till late. FREE ‘street exhibition’. We’re lucky enough to have New Zealand Symphony Orchestra, Michael Hurst and Penny Ashton (poet and comedienne extraordinaire) in Tauranga this month. Schumann, Prokofiev and Tchaikovsky (they’re a bugger to spell) feature in NZSO’s ‘Wounded Hearts’ Baycourt Theatre. Thursday 3 July 7.30pm. Penny Ashton’s “Promise and Promiscuity, as a self-penned poke at Pride and Prejudice, is the perfect vehicle for an actress at the height of her power, for Penny Ashton is a virtuosa of rare skill…..a treat not to be missed.” – Robert Gilbert, Theatreview, comes to Baycourt on Thursday 3 July 7pm. $25 – $20. The knitting needles are calling so I’ll wind up. I did see the Wiggles are on too. Someone tell me when in July? What are Tauranga Monthly Film Nights screening this month? So, I must have missed something. Share share the fun folks. Comment below with stuff you know is going on in the Bay in July 2014. I’m keen to go watch 3DSD do their sand art round (The Mount) round Mauao sometime. Until next time, naa noo, naa noo.